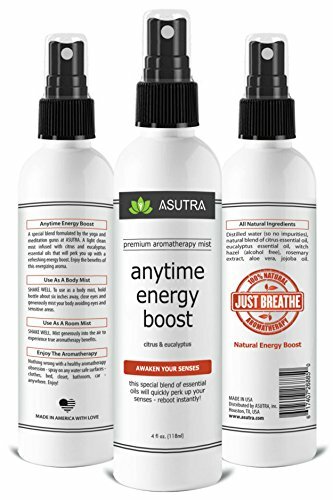 Anytime Energy Boost combines the power of eucalyptus and citrus essential oils to provide executives with an energizing mist to use during a long day of work. 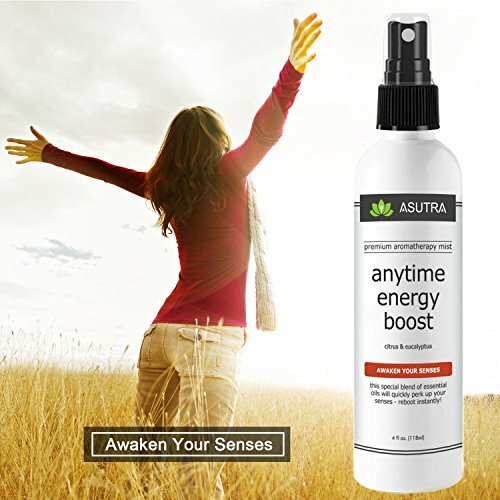 Anytime Energy Boost contains only natural and organic ingredients. This makes it easy on even the most sensitive skin type. Therapeutic grade essential oils are combined through a careful process to make these potent, pure mixtures. These products are completely non-toxic and environmentally friendly. It is safe to use on anything you may touch, from your skin and clothing to exercise gear. Jojoba oil and aloe vera used within the product give skin an extra dewy glow. This product is proudly made and packaged by hand in the United States with locally sourced ingredients. This mist is portable and can be brought wherever executives feel they will need a boost of energy. From the office to a big meeting, this spray can help energize tired executives before any major event. This mixture combines two beneficial oils to create the ultimate energizing blend. Citrus oil combats depression and depressive thoughts while triggering energy to be released. Eucalyptus oil refreshes the body and combats grogginess with its cooling properties. This blend of citrus and eucalyptus will stimulate your senses, your mind, and your energy for maximum productivity. According to the Department of Experimental Medicine and Biochemical Science, University of Rome “Tor Vergata”, eucalyptus essential oils have a positive impact on overall health. Eucalyptus oil helps get an immune response related to innate cells. This stimulate the immune system of busy executives as well as for those living with cancer or who have had cancer. Ingredients may settle after sitting, so the product should be shaken before each use. Avoid contact with eyes while spraying. Spray six inches away from the body for optimal results. Boost your energy at workplace today!